InboxGuru is an email marketing and marketing automation solution for small and medium sized businesses. It is the only solution of its kind that is 100% built for Infor CRM and leverages the Infor CRM database for key marketing processes such as drip and nurture marketing program. 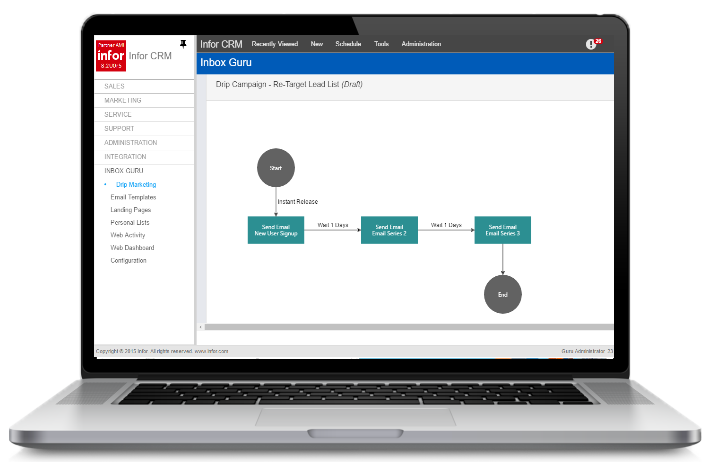 Whether you have basic email marketing needs or sophisticated marketing automation requirements, InboxGuru will provide a powerful yet cost effective solution for Infor CRM users. 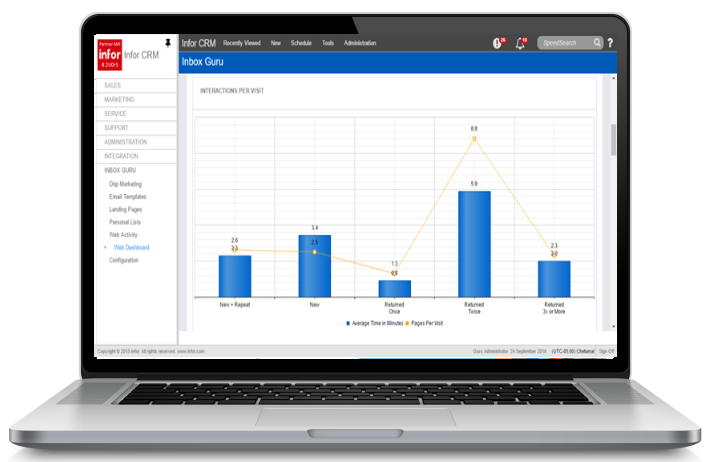 InboxGuru also includes real-time web analytics and website visitor tracking to empower sales teams with innovative lead generation capabilities. Now sales teams will have the ability to engage with potential customers after they have shown interest in your product with this effective lead generation technology. By using this feature, sales teams can choose to receive daily or weekly updates on website activity that includes, webpages visited, activity time, and the account the potential buyer belongs to. Using Infor CRM as an email marketing tool has never been easier. In addition to campaign planning, the email service provider is built directly into your CRM. Email lists are pulled directly from Infor Dynamic and Ad-Hoc groups with support for all merge fields from the database (can also utilize personal lists not in any Infor groups).